When it comes to box squats, many people dismiss them as a newbie exercise – like training wheels on a bike they see them as helpful for beginners, but soon it is time to move on. Others think of elite Powerlifters from Westside Barbell sitting way back into their multi-ply squat suits. While these are both excellent times to use a box, there are other great reasons and effective ways to use a box squat. The box might be just what you need to take your leg development and performance to the next level. Almost everyone was a fantastic squatter – at around 1-2 years old. However, as we move from toddlers to adults, our modern lifestyles (at least in developed countries) causes us to “un-learn” the squat. Then, well-meaning trainers try to re-teach someone how to squat, but they do it backwards. As a toddler, you learned to squat from the bottom up, not the top down. Starting the squat at the bottom is the fastest, easiest way to re-learn this important natural human movement. All you do is sit down on the box (without weight), set-up in proper position and stand up - simple and effective. dowel is used for teaching this - not a barbell. 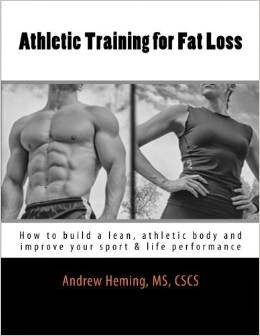 While the style of squat and the degree of sitting back can differ depending on your goals (e.g. Olympic Weightlifting, Powerlifting, Bodybuilding or sport performance) some people let the knees come way too far forward in the squat and shift the weight from their heels to their toes. If you struggle with sitting back far enough, the box is a great way to learn this as it gives you a target to aim for. Most folks don’t squat deep enough. And while many talk about squatting to parallel, they are usually far from it. I follow Mike Boyle’s advice and advice our coaches that when a recruit tells you how much he/she can squat, divide that number by 2 (because when we start working with them and show them how deep they need to go, they will only be able to use about half the weight they currently use). High squats are a dangerous waste of time. Use a box so you know how deep you need to go. Also, while most people don’t squat deep enough, some go too deep and creates the problems with lack of tightness and control explained in the next point. If you have hypermobility or who tend to relax or you tend collapse into the bottom squat, the box prevents you from going too deep. 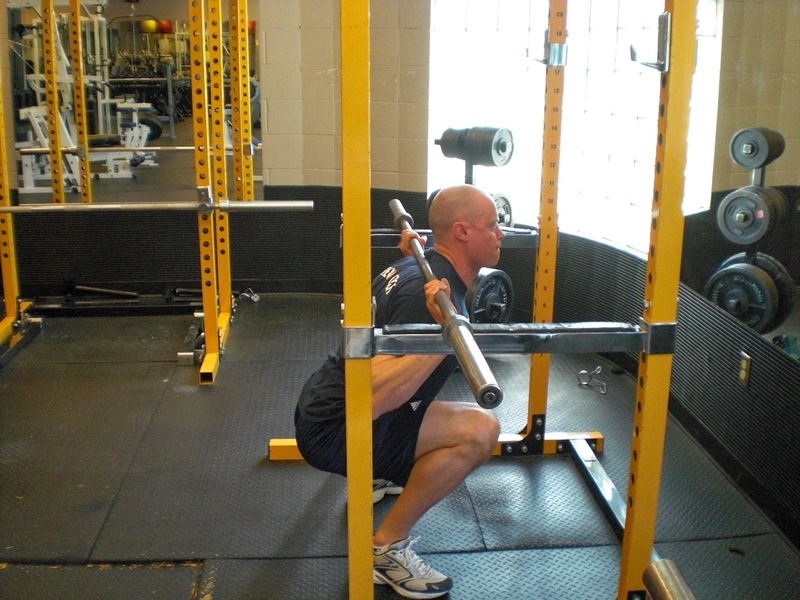 In an effort to get depth, some people relax and dive-bomb into the bottom position of a squat. This causes tail tucking (where the pelvis tips back and the low back rounds). It can also cause the calves and hamstrings to smash against each other and creating a prying force on the knee ligaments. With box squats, you maintain this tightness or you have a painful crash into the box and learn the hard way to stay tight and under control. A huge mistake that many make with the squat (I actually hold the record for making this mistake more than anyone else) is making false gains. False gains are when you gradually increase the weight lifted while gradually decreasing the depth (which puts you into an easier mechanical position and negates the effect of the weight increase). However, if you touch a box at the bottom of each rep, you know that when you increase weight it is because you are actually stronger and working harder because your range of motion stayed the same. Related Post: Are You Making False Gains? Some coaches and athletes like to sit on the box and then explode up. They do this to build starting strength or the more geeky term, static overcome by dynamic strength. While this works, it also places a huge amount of compression on your spine as it gets smashed between the bar and the box. Three better options for building starting strength are deadlifts, paused squats (in the bottom position without a box) or Anderson squats (where the bar starts at the bottom off the safety rods in a power rack). If you relax at the bottom of the squat, you can go into flexion of your lumbar spine (low back). This combined with the compression forces of a barbell is a fantastic way to herniate a disc. Do not slam into the box. Just lower under control and reverse the movement at the first hint that your bum has touched the box. Unless you are wearing a multi-ply squat suit, avoid sitting back too far. This will place your center of mass (i.e. most of your body weight) behind your base of support (i.e. your footprint). This will cause you to have to move forward to get your weight back inside your feet and this can put a lot of stress on your knees (I know because I injured my knee doing this years ago). Box squats are not just for newbies. They are great way to make squats safer and more effective. Don’t miss out!